The KBC-3205RFM is just about palm-sized, very light and slim. 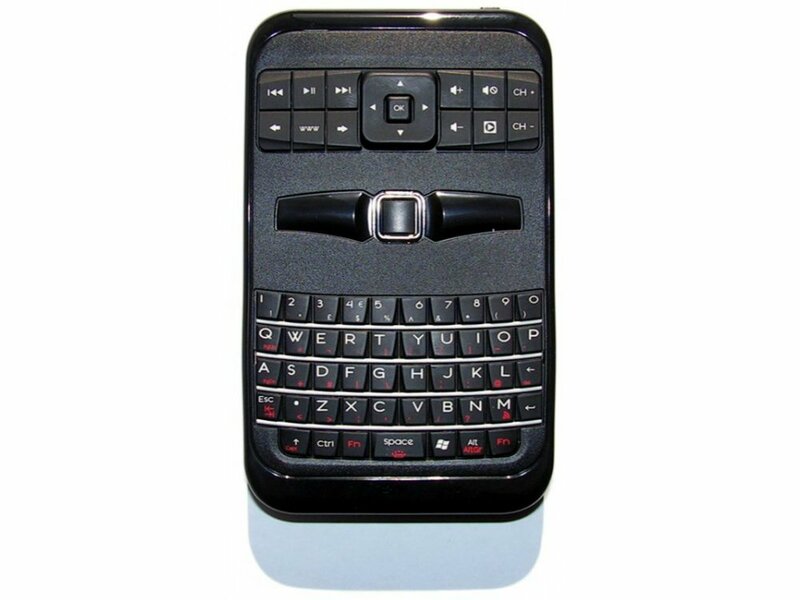 It features a finger trackpad (BlackBerry style) mouse function, 12 multimedia hotkeys and a keyboard. Despite the size, the keyboard offers all common characters and symbols. It connects to Windows and Mac OS X via a 2.4 GHz wireless RF connection to a USB receiver. A togglable function illuminates the keyboard and a slot on the back of the keyboard enables the receiver to be securely stored for transportation.